In the summer the Aosta Valley with its lateral valleys without a doubt offer a great location to take part in the Canyoning activity. 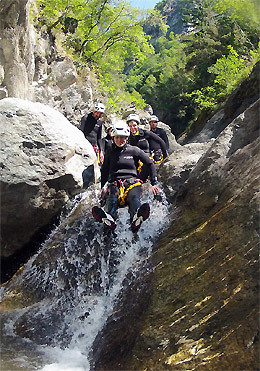 Wild and natural, our rocky gorges and our numerous alpine torrents filled with the icy waters from the alpine glaciers create a distinctive beauty and rare charm. Our fully qualified Canyoning guides will enable you to discover fun routes. 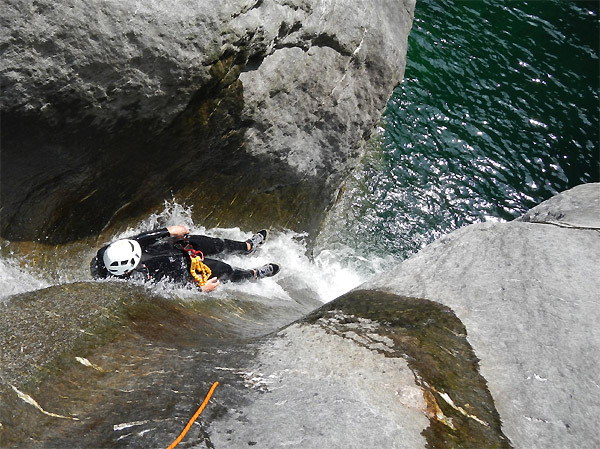 Each day a new torrent, a new valley and… a new adventure made up of jumps, slides and crystal water pools!